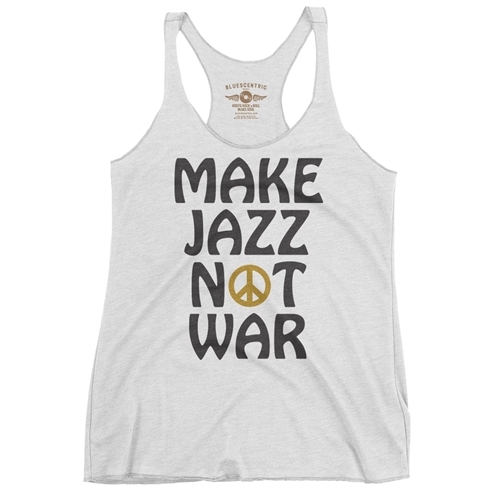 Make Jazz Not War! 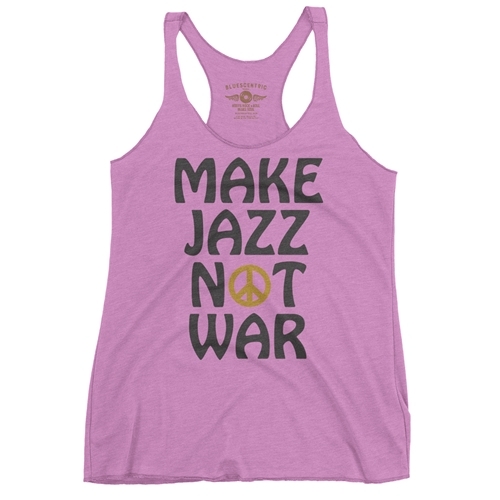 This ladies top is ideal for Jazz Music lovers. 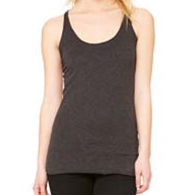 The Bluescentric Brand Backstage Jazz Music Racerback Tank is a premium Next Level brand fabric-laundered 4.2oz triblend 50/25/25 polyester/combed ringspun cotton/rayon racerback tee.